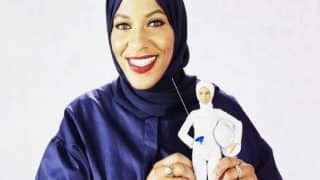 Ibtihaj Muhammad (born December 3, 1985) is one of most celebrated talents in the sport of fencing. 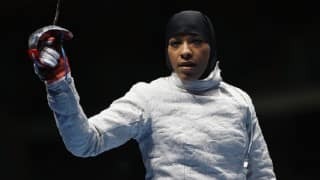 The Afro-American Muslim began her career as a sabre fencer in the year 2003. She subsequently became a three-time All-American and won the junior Olympic championship in 2005. 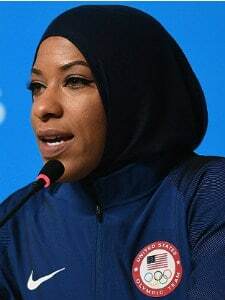 Ibtihaj became a core member of the US National Fencing Team in 2010. One of her greatest achievement is winning the 2014 World Champion, along with other members of the team. Ahead of entering Rio Olympics 2016, Ibtihaj is placed at the 8th rank internationally. Within the United States, she has maintained the 2nd position. 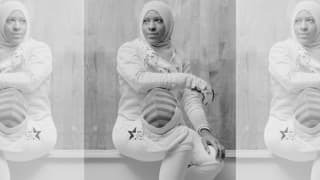 Apart from being a leading figure in the world of fencing, she is also an inspiration for Muslim women in US, as she has never shied away from wearing her identity. She had once been defined by Wall Street Journal? as 'Fencer with headscarf, cut above the rest'.